Tony Sagami writes: If 2008 has been tough on your portfolio, there is no shortage of blame to go around: $90 oil, the subprime mortgage crisis, the collapsing dollar, and falling real estate prices. But in my opinion, the underlying cause of U.S. stock market woes is much simpler: Rapidly disappearing corporate profits. It doesn't matter if you're a retiree, a baby boomer, or a member of Generation X, Y, or Z ... this earnings fallout is going to affect every equity investor across the board. Remember, Stock Prices Almost Always Follow Corporate Earnings! It's one of the basic rules of stock investing — when companies are making money hand over fist, everyone wants to buy in. Thus, improving corporate profits help propel stock prices higher. Of course, it works the same way on the downside, too. When corporations are posting slower earnings growth — or worse, outright losses — investors run for the hills. End result: Stocks fall. So which is it right now? Well, the earnings numbers are coming in for the members of the S&P 500, and of those that have reported, fourth-quarter results have dropped an average of 15%! What's more, 26% of the S&P 500 companies that reported earnings failed to even match the average Wall Street estimate. Unfortunately, the worst is yet to come! I say that because the retailers, who had a horrible holiday season, will almost certainly post really bad results. Looking at the market as a whole, the number of companies issuing positive forward guidance is at the lowest level this decade. The fact that corporate America is lowering its profit forecasts should tell you that we're due for even more stock market pain. How much pain? If corporate profits continue to fall as I expect, don't be surprised to see the Dow Jones drop below 10,000 by the end of the year. If corporate profits keep falling, U.S. stocks could be in for more pain! If you're like me, and believe in something other than "buy-hold-and-pray," you should consider taking some action to protect yourself in case things do get ugly. Most market timers are trying to capture big gains, but I think its real value is preventing large losses. How will you know when the best times to sell are? You can use technical analysis techniques like moving averages and stochastics. Alternatively, you can just place protective stop losses. These orders instruct your broker to sell your shares when they hit a predetermined level. It used to be hard to "hedge" a portfolio — having a range of positions that balance each other out. However, the number of ways to accomplish this task has increased in recent years. Perhaps nothing is simpler than inverse funds, which are designed to increase in value when the stock market goes down. One example: The Rydex Ursa exchange-traded fund should increase in value by 1% for every 1% drop in the S&P 500. While these funds will fall in value if the stock market rises, they can offer good protection without forcing you to sell your existing positions. If stock prices ultimately follow earnings, then the very best way to protect your portfolio is by making sure it's stuffed with companies with earnings that are still rising. That's pretty darn hard to do if you're ONLY investing in U.S. companies. There Is One Part of the World Where Corporate Earnings Are Still Growing! Corporate earnings for Chinese companies are expected to increase by a whopping 30% in 2008! You know what is even more impressive? Many of these companies still sport low price-to-earnings ratios! The average Hong Kong-listed stock is trading for roughly 15 times earnings. No matter what language you speak, that's what I call a bargain. Best of all, a giant flood of new money is about to drive those stocks even higher! Chinese securities regulators aren't about to let their stock market flop right before the Beijing Olympics. They've just approved three new mutual funds that will inject up to US$2.8 billion into Chinese stocks. This is the second time in a month that China has approved new funds. Last month, regulators approved three new domestic equity funds worth more than $2 billion, after a five-month moratorium for new funds. Overall, the total size of the Chinese mutual fund industry has ballooned from $27.6 billion in 2004 to $451.6 billion at the end of 2007. Bottom line: There are plenty of ways to protect your portfolio from a slowdown in the U.S. But I think the most profitable way is to make sure your portfolio includes some Asian shares. It may not be a bad idea to remove Equity as an asset class until the storm blows over. Defensive might be precious metals, agri commodities, short shares, yen and swiss francs. Such a 4 legged table may have better chance of survival and perhaps profit. A participant in the morning Working Capital Model (WCM) investment workshop observed: I've noticed that my account balances are returning to their (June 2007) levels. People are talking down the economy and the dollar. Is there any preemptive action I need to take? An afternoon workshop attendee spoke of a similar predicament, but cautioned that (with new high market value levels approaching) a repeat of the June 2007 through early March 2009 correction must be avoided--- a portfolio protection plan is essential! Their preemptive portfolio protection plan was already in place --- and it worked amazingly well, as it certainly should for anyone who follows the general principles and disciplined strategies of the WCM. But instead of patting themselves on the back for their proper preparation and positioning, here they were, lamenting the possibility of the next dip in securities' prices. Corrections, big and small, are a simple fact of investment life whose origination point, unfortunately, can only be identified using rear view mirrors. Investors constantly focus on the event instead of the opportunity that the event represents. Being retrospective instead of hindsightful helps us learn from our experiences. 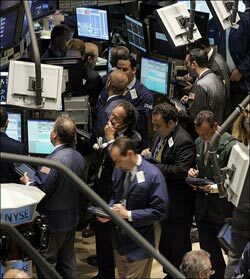 The length, depth, and scope of the financial crisis correction were unknowns in mid-2007. The parameters of the current advance are just as much of a mystery--- today. The WCM forces us to prepare for cyclical oscillations by requiring: (a) that we take reasonable profits quickly whenever they are available, (b) that we maintain our "cost-based" asset allocation formula using long-term (like retirement, Bunky) goals, and that we slowly move into new opportunities only after downturns that the "conventional wisdom" identifies as correction level--- i. e., twenty percent. So, a better question, concern, or observation during a rally (Yes, Virginia, seven consecutive months to the upside is a rally. ), given the extraordinary performance scenario that these investors acknowledge, would be: What can I do to take advantage of the market cycle even more effectively--- the next time? The answer is as practically simple as it is emotionally difficult. You need to add to portfolios during precipitous or long term market downturns to take advantage of lower prices--- just as you would do in every other aspect of your life. You need first to establish new positions, and then to add to old ones that continue to live up to WCM quality standards.